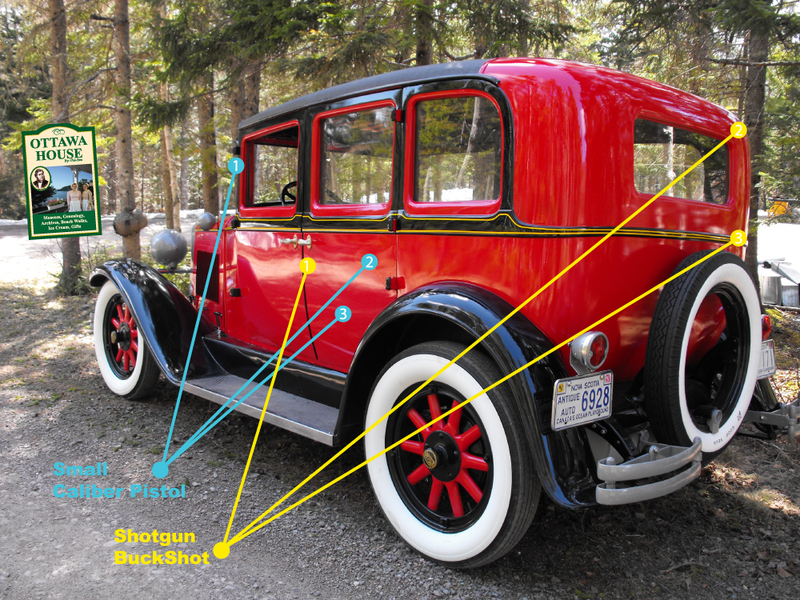 Kerwin Davison’s latest antique auto, a 1929 Nash, recalls the Prohibition days of the 1920s and 30s when bullets and buckshot flew as police vainly strove to dam the flood of illegal booze. Davison worked last fall and through the winter to restore the Nash in his Greenhill shop. When it’s all done, he figures the restoration will cost him $30,000. Along the way, he made a significant discovery, one that surprised him. Bullet holes and the spray of shotgun blasts pockmarked the metal. “The passenger door behind the driver had one bullet hole right through, small calibre,” he says. He also found where three shotgun blasts had hit the Nash, one on the door behind the driver and two more at the rear on the passenger side, all evidence that the car had been used as a rum runner as it travelled the roads between Great Village and Truro. There was other evidence too. Back in those rum-running days, Nova Scotia fishermen made big money smuggling liquor from the French islands of St. Pierre and Miquelon to the Boston states. Along the way, some of the bootleg rum got dropped off here. “Because of the thousands of miles of shoreline and inlets, Nova Scotia was the perfect place for rum-running,” Davison says. He adds that farmers and lumbermen on the shores of the Minas Basin would often build little hiding places or caches in the gulches and brooks. “They would store it there and sometimes farmers even ploughed their land and they laid the individual bottles in the plough cut and folded the land back down on top of it. At the same time, Davison says, people supported the temperance movement that aimed to stamp out drinking. “It wouldn’t be unusual for this car to go Friday evening to the temperance gathering at the local hall or local church,” he says. “Sunday would come, Ma and Pa and the kids would all pile into the Nash and go to church. “But come Monday or Tuesday, probably they would take the backseat out and they had two or three things they could do with it. They could take pigs into Truro for market. They could bring back four or five bags of feed which they would buy to feed their stock. Davison say that this summer, the Nash will be parked at his Early Nova Scotia Transportation Exhibit on Eastern Avenue next to Parrsboro’s Town Hall. 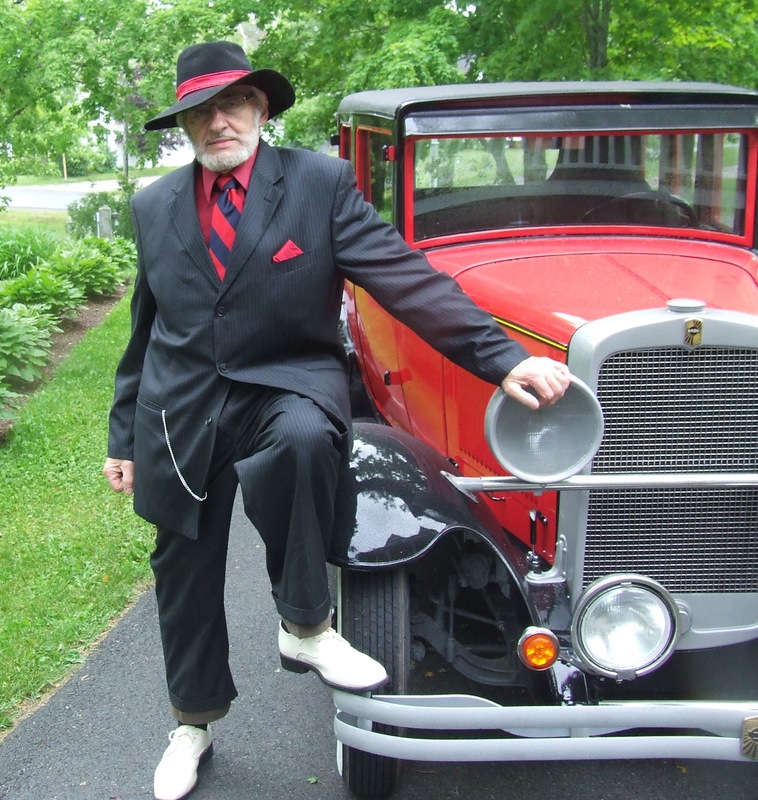 But there are also plans to use the antique auto to promote the Ottawa House Museum and the Parrsborough Shore’s history in the long-gone, but fondly remembered, rum-running era. This entry was posted in Ottawa House, Parrsboro news, Uncategorized and tagged antique automobile, Kerwin Davison, Nash automobile, Prohibition, rum-running. Bookmark the permalink. What a wonderful article and a beautiful car. Great restoration job Kerwin, and may I add you look very dashing in this photo. I look forward to seeing it in person. Kudos to a fabulous historical story about rum running in Nova Scotia. Well done Kerwin D.
Looking pretty dapper there, Kerwin. Len & I look forward as well to seeing this car. Marvellous work!